The number of endpoints connecting to enterprise IT environments and networks has never been higher. That number is only going to grow as bring-your-own-devices culture and mobile devices in general take precedence in the modern digital workplace. The modern enterprise’s digital perimeter is thus evolving and expanding just as the digital threats enterprise face also evolve to wreak more havoc than ever before. Traditional endpoint security solutions focused—and continue to focus—on traditional signature-based analysis on traditional malware. But traditional malware is becoming a thing of the past. 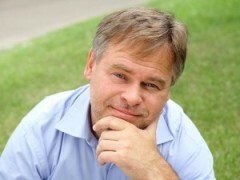 New threats, such as fileless malware, are bypassing the old guard. Enterprises need to start examining their old cybersecurity protocols and start comparing the top endpoint security vendors to find the right next-gen solution to protect their perimeters. But so many vendors in such a mature market, how can enterprises sort through the marketing jargon? How can they make such an important selection? Here at Solutions Review, it’s our job to help simplify that process. To that end, we’ve created a variety of buyer resources and articles to speed the evaluation of enterprise cybersecurity technology solutions. In our 2018 Endpoint Security Buyer’s Guide, we offer our readers a full overview of the marketplace by comparing the top endpoint security vendors. This includes individual company and product profiles and use-cases for the top 25 providers. We also provide ten key questions for potential endpoint security solution selectors to ask, and our bottom line analysis for each solution. 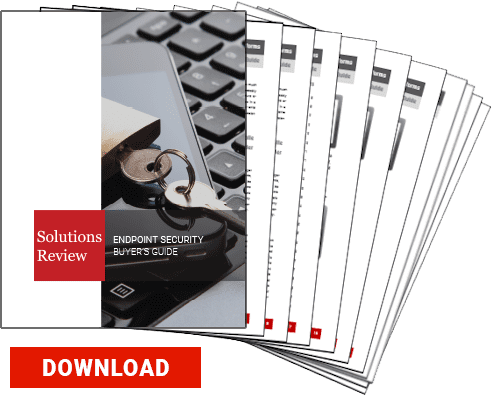 The Endpoint Security vendors covered in our 2018 Endpoint Security Buyer’s Guide include Bitdefender, Carbon Black, Check Point, Code 42, Comodo, CounterTack, CrowdStrike, Cylance, Druva, ESnet, F-Secure, FireEye, Forcepoint, Ivanti, Kasperky Lab, McAfee, Microsoft, Palo Alto Security, Panda Security, RSA, SentinelOne, Sophos, Symantec, Trend Micro, Webroot. Our articles focus on industry and vendor news within the endpoint security marketplace and on the biggest security risks confronting enterprises today. Thus, you’re always up to date with the latest platform updates, market reports, and more. We also provide best practice articles and in-depth coverage of the relevant Gartner’s Magic Quadrant to help buyers comparing the top endpoint security vendors make the right choice for their company. Our mission here at Solutions Review is to make the buyer’s journey to find the right solution that best fits their business needs much easier and less complicated. So, if you’re in the beginning process of comparing the top endpoint security vendors for your enterprise, or if you’re looking for something a little different than what you already have, we hope this is the perfect resource to get you started on the decision-making process. 2018 Gartner EPP Magic Quadrant: What’s In a Vision(ary)? Next Next post: John McAfee Announces 2020 Presidential Run: Time for a Culture Change?